Terms Specific to Market Data provided by the Nasdaq OMX. For claims arising from the Nasdaq OMX Market Data, the liability of Vela and Nasdaq OMX within a single year of the Agreement is limited to an amount of Customer’s direct damages that is actually incurred by Customer in reasonable reliance, and which amount does not exceed, at Vela’s or Nasdaq OMX’s option, either a prorated credit or a prorated refund or any monies due to Vela or Nasdaq OMX from Customer (less monies refunded or credited to Customer) for the Market Data at issue for the period at issue. 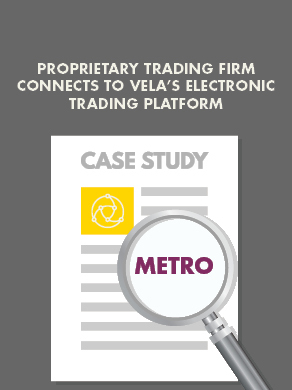 For claims not arising from the Market Data, the liability of Vela and Nasdaq OMX within a single year of the Agreement is limited to an amount of Customer’s direct damages that is actually incurred by Customer in reasonable reliance, and which amount does not exceed, at Vela’s or Nasdaq OMX’s option, either a month’s credit or a month’s refund of the average monthly amount paid to Vela calculated over the 12 months preceding the claim. In no event shall any claim, dispute, controversy or other matter arising pursuant to the Agreement be made against Vela or Nasdaq OMX later than three years after the claim, dispute, controversy or other matter in question has arisen.